Schools out for the summer, but that doesn't mean that the laundry has stopped. Instead, there seems to be more and more laundry to get done since it's not being done as often as it should. So how do you keep your laundry in check? I'm sharing my laundry routine that I believe everyone should follow. If there's one thing that I have learned throughout my twenty-two years of motherhood is that "if there's a mess to be made, my kids will make it". Luckily for me, my kids are now in their teens except for Madison; so they can take care of their laundry on their own. However, there are rules to how laundry is done. Growing up, my parents only used Tide Laundry Detergent. My mother swore by it and stated that it was the only detergent that laundered her clothing right the first time. When I moved out on my own and got married, we would buy whatever was on sale, but as they say "mom was right". We didn't have to double up on detergent with Tide because it worked, so we were, in fact, saving money by using Tide. Since my youngest and myself have skin sensitivities, we also purchase Tide purclean™. But what are these laundry routines that we have developed over the years to keep us on track? Having a laundry schedule, whether it's once or twice a week, helps to keep you on track and prevents you from running out of clean clothing. We all know how we can get busy so having a realistic schedule is important. If weekends work best for you, then do your laundry on the weekend, or if the weekdays are perfect, then do it then. Just be sure that you choose a time when you're able to both wash and dry at the same time. Having a schedule when you're living with other family members also helps to prevent fighting over laundry time. Sorting your laundry helps to avoid you going into damage control mode when you realize that your colors have bled into your whites. Sort your clothing into 3's. Whites, lights (which includes anything that isn't white or dark colored, such as tans, pastels, etc.) and darks (blacks, grays, purple, red, denim, etc.). To make things even more accessible, you can invest in a triple sorter which eliminates the need to once again sort on laundry day because all your clothing is mixed together. The sooner you begin to attack a stain, the greater your chances of it coming out completely. Pour Tide Liquid directly on the stain. I also use Tide-to-Go Instant Stain Remover whenever I spot a stain on my kids or my own clothing. Keep one in your bag, in the kitchen, and of course the laundry room so you can tackle that stain immediately. Now it would make absolutely no sense doing laundry if you don't have the essentials on hand. What are considered essentials? Your laundry detergent, stain remover, bleach (if necessary), fabric conditioner and your dryer sheets. If you're running low on any of those items, it's a good idea to add it to your shopping list so that you won't forget. 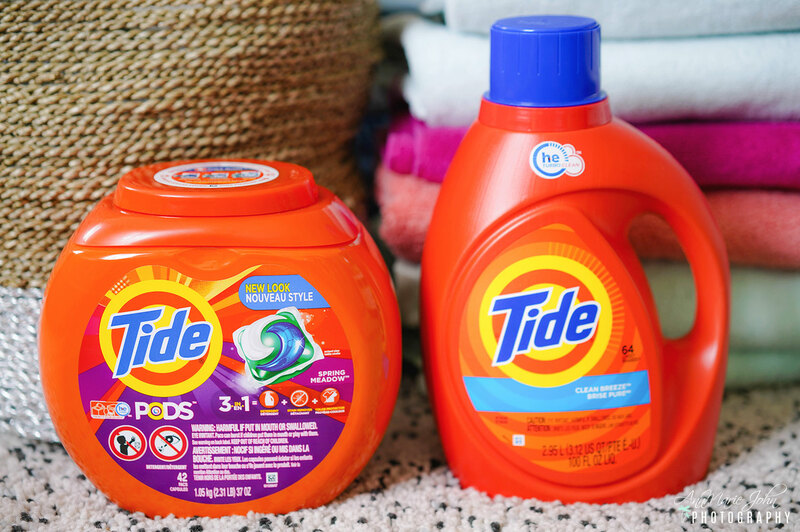 We currently use both Tide HE Turbo Clean Liquid Laundry Detergent and the Tide PODS® Laundry Detergent. My husband prefers the liquid, while to prevent from overusing too much of the liquid, I generally purchase the PODS®. Both have 10x the cleaning power versus the leading bargain brand, so you don't have to overdo on the amount that you use. They keep your whites white and your colors looking fresh, wash after wash, and your clothes come out of the washer looking and smelling clean without being heavily perfumed. 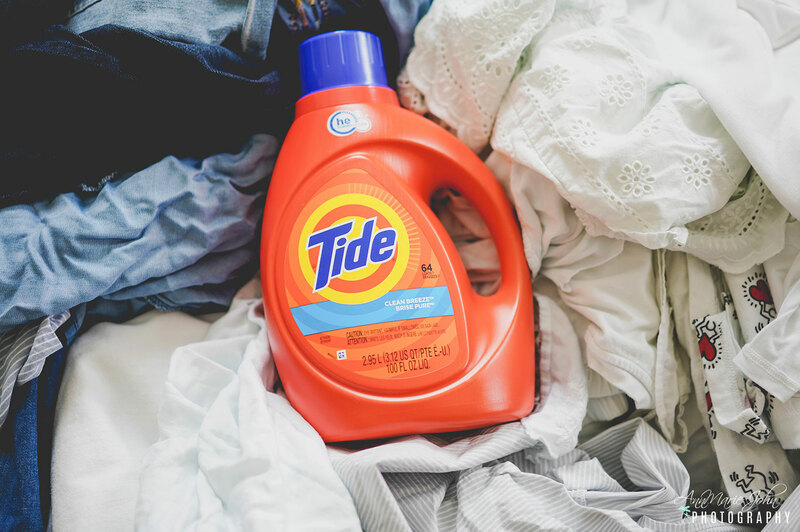 And right now is the time to stock up on your Tide Laundry Detergent, because, throughout the month of August, you can pick up Tide Bonus Packs in Walmart stores that give you up to 25% more tied for the same everyday low price you're accustomed to. On 7/29 be sure to check your Sunday paper for P&G’s BrandSaver or to keep an eye out at your local Walmart for the roaming demo events where BrandSaver coupon books will be handed out. 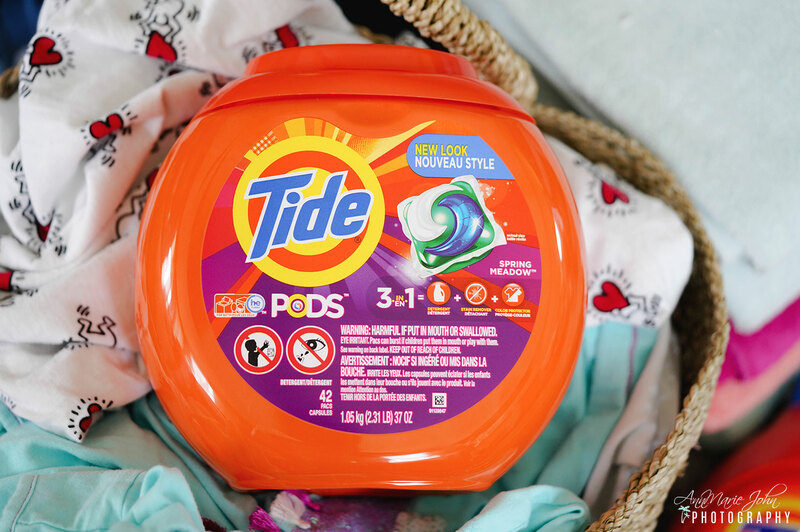 In this BrandSaver, you'll find a $3 off Tide coupon, the biggest Tide coupon of the year! 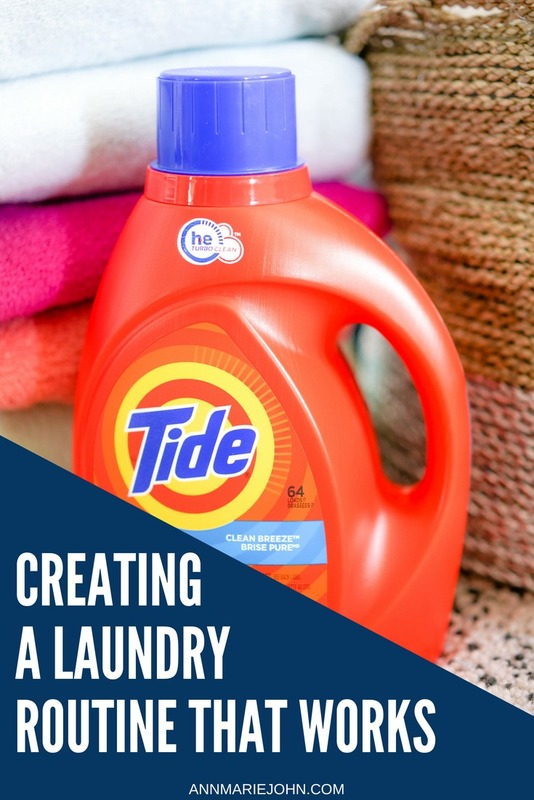 Create a laundry routine that works, stock up on Tide Laundry Detergent at Walmart today and start saving money.